This is Susan Sontag's second book on photography and, like the first, published in 1977, it contains no photographs. An omission or suppression? Sontag is concerned with photography's intrusiveness, its surreal dislocation of reality, its irrelevant aestheticism. Regarding the Pain of Others is an intensive study on the effects and implications of the way that media has shared and created a method of understanding documentary photographs. It cleverly analyses the unrelenting, unreality of images of horrific situations that we, as comparably-comfortable and safe viewers fail to absorb the essence of. Sontag retells the familiar stories about photographs that sanitise or falsify the conflict they are supposed to be documenting. 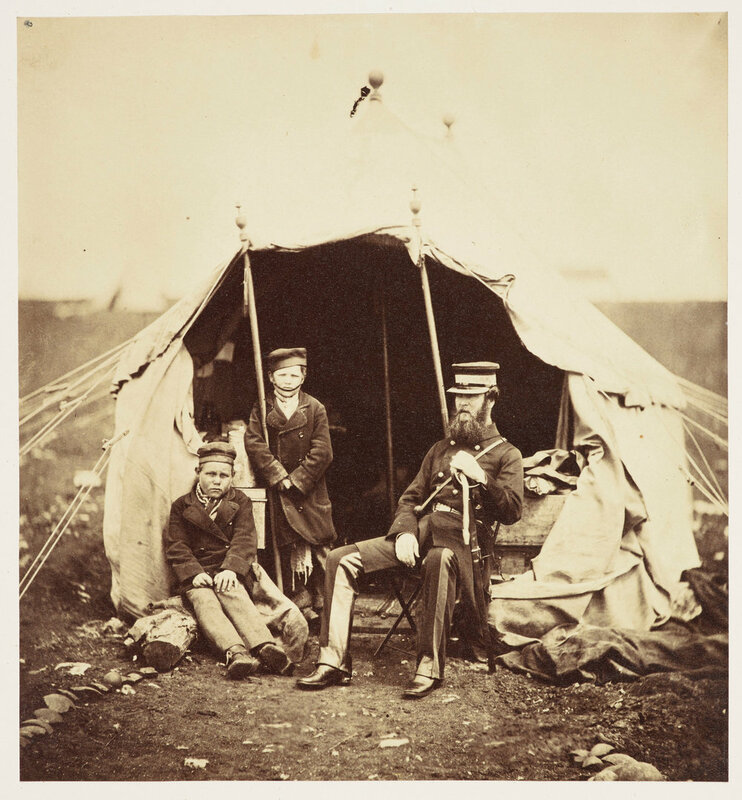 In the Crimea, Roger Fenton represented war as a 'dignified all-male outing', avoiding all evidence of carnage: in the valley through which the Light Brigade charged, he supervised the placing of cannonballs on the road. In 1945, the Russian victors hoisting the Red Flag over the Reichstag in Berlin took direction from a Soviet war photographer who dreamt up this iconic moment. Having been drip-fed fantasies and outright lies, how can we properly respond to the remote, exotic miseries on which photographic journalists report? In our 'culture of spectatorship', have we lost the power to be shocked? The pain of others stimulates us, so long as it is kept at a safe distance. The victims of famine and massacre are always, as Neville Chamberlain dismissively said of the Poles, “people we do not know”; when genocide recurred during the Bosnian war, we were reminded that the Balkans should not be considered part of Europe. 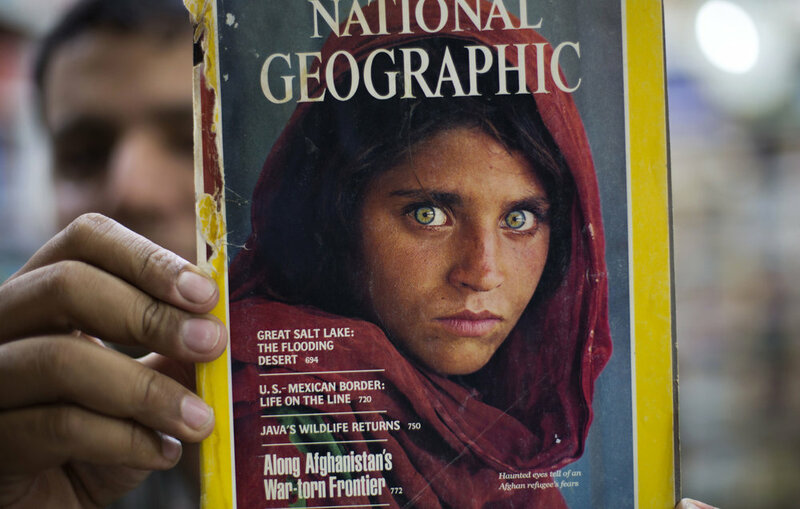 The young Afghan refugee photographed by Steve McCurry for National Geographic became, a poster girl for atrocity; we could see her pain but not feel it. This comment is essentially relevant right now, with so many issues abroad, from which concerns are beginning to root in our own country. Journalists are bringing stories and images from ‘other’ worlds, which are entirely unrelatable to our own western existence. Her reference to journalists as “specialized tourists” insists that they are purely there to observe and experience rather than to aid or contribute in any personal way. The spectatorship event that Sontag describes only goes to further ingrain an unconscious ‘us and them’ mentality, which dampens our compassion and understanding for the situation at hand in the photograph. The denseness of modern communication leaves the images we see without impact or gravity. We are numb to horrific imagery due to the relentlessness of it featuring in our everyday. We are ‘bombarded by it’, rather ironically. This leaves us, somewhat emotively unmoved and indifferent to serious issues in ‘foreign’ areas of the world. More recently, as we have seen an increase in the number of terrorist incidents in the Western World, initially, the reaction is a truly emotional one, as suddenly the images being circulated by the news are ones of European’s or American’s, in recognisable urban landscapes. Even these, as the frequency of shootings have increased, it is easy to notice that society is again becoming further and further desensitised to even these events. When reading this quote I immediately think of Kevin Carter’s image ‘Famine’, depicting the vulture observing a malnourished child. It is an example of a public reaction to an image that is taken as an assertion, or supposition, without understanding the full story or context. This is unfortunately the nature of modern communication, particularly evidenced on Social Media where an idea or belief surrounding an image can be easily misinterpreted or distorted. It then becomes very hard to change the public understanding of said idea or photograph. This is happening everyday, most obviously with images surrounding Donald Trump’s administration and the Brexit negotiations; people can and will twist ‘evidence’ in anyway which satisfies their bias or goals. This gives the idea that photographs both evidence and document people acts or experiences of “atrocity” whilst simultaneously aiding or supporting said “atrocity”. That by acknowledging the reality, through taking a picture of it, is to exacerbate the issue to some extent. It follows a similar concept to when people suggest how to dissuade bullying; by ignoring them, they will get bored of their actions and subsequently stop. I feel Sontag has over simplified her argument here (as its a title sentence for the debate), since it is a statement which suggests universal application, but this is not necessarily a reality. The ethics of sharing catastrophe with the uninformed has both its potential short-term benefits as well as its long-term societal and personal reactive implications. We must endeavor to not take everything at face value, to assume is to damage the understanding of any situation. If you are interested in buying this book for yourself, it is a pretty easy read which explores deep issues within visual-representational practices as well as the anthropological impact of them on the world. If you use the link here to buy the book: https://amzn.to/2ZcgclE some of the money from your purchase comes back to me, at no extra cost to yourself! Please do leave any comments below, I would love to interact with you about this subject.